Often it is essential for a business to keep cash on hand, especially if frequent cash transactions occur, such as in retail settings. Safes are business security for cash that needs to be kept on hand and deposits that have yet to be made. New York businesses should not have to be concerned with theft in their stores but it is a stark reality that crimes are committed and money is stolen every day all over the city. The best thing that you can do is prepare yourself and your place of business to catch intruders before anything is taken and there is a New York Security company that has your best interests in mind. 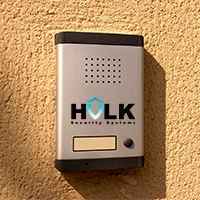 Hulk Security Systems has been serving NYC with professional security services and products since 2009 and we have many satisfied clients with businesses and homes of all sizes, shapes and purposes. Your business security is important to us because you are part of our community and we serve New York with pride. New York security should be the best and that is not only what we aim for, it is what we reach. With a safe installed in your business and even in your home, you can secure cash, important documents and valuables without concern that anyone will be able to break in. We provide all types of safes in various sizes and offer 24 hour locksmith service every day of the year. Our New York security is top of the line and you are sure to be pleased with what we can do for your safe installation and maintenance.